Cambridge Meta-Leadership is the home for speaking, training, conflict resolution and mediation, and coaching services using the concepts and tools of meta-leadership. Derived by observing leaders in high-stress, high-stakes crisis and change situations, meta-leadership is a widely accepted approach to leadership in all settings where unity of effort across organizational boundaries is required. 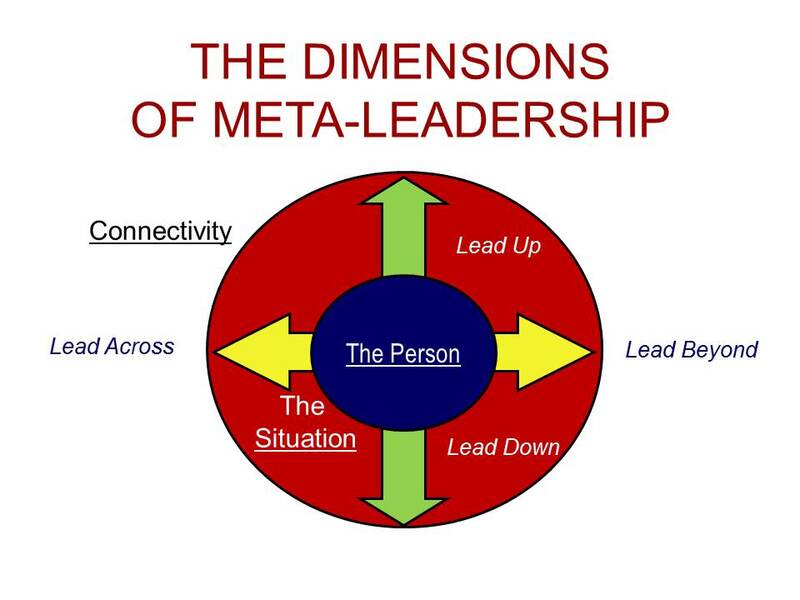 The three dimensions of Meta-leadership help leaders bolster self-understanding, develop situational insight, and build robust connectivity. The dimensions are useful lenses for creating clarity in times of crisis as well as for meeting more routine leadership challenges. The principals at Cambridge Meta-Leadership have been alongside leaders responding to natural disasters, terror attacks, and other crisis situations. They have observed and advised through transformational change. At times, they have actually been those leaders. They have also mediated numerous intra- and inter-organizational disputes, and coached leaders and their teams to be more collaborative. Among the world’s foremost experts on leading in complex environments, Cambridge Meta-Leadership principals have helped senior executives from government agencies, major corporations, and non-governmental organizations around the world. 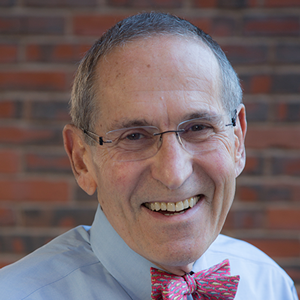 Barry C. Dorn is senior associate at the Program for Health Care Negotiation and Conflict Resolution and adjunct lecturer in Health Policy and Management at the Harvard T.H. Chan School of Public Health. He is on the faculty of the National Preparedness Leadership Initiative, a joint program of the Harvard T.H. Chan School of Public Health and Harvard’s Kennedy School of Government. 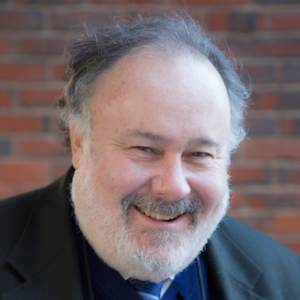 Barry C. Dorn is associate director of the Program for Health Care Negotiation and Conflict Resolution and adjunct lecturer in Health Policy and Management at the Harvard T.H. Chan School of Public Health. He is on the faculty of the National Preparedness Leadership Initiative, a joint program of the Harvard T.H. Chan School of Public Health and Harvard’s Kennedy School of Government. He is also clinical professor of orthopedic surgery at the Tufts University School of Medicine and served on the Faculty of Health Services at Ben-Gurion University of the Negev, Israel from 2010 to 2013. and has held the position of interim president and CEO of Winchester Hospital. Dorn is among the leaders in the development of negotiation and conflict resolution for health care. He is co-author of Renegotiating Health Care: Resolving Conflict to Build Collaboration, the leading textbook in the field. He received his B.S. from Muhlenberg College, his M.D. from Jefferson Medical College, and M.S. from the Harvard School of Public Health. Prior to joining HSPH, Dorn was a practicing orthopedic surgeon and has an honorable discharge from the U.S. Army Medical Corps. Joseph M. Henderson is a Distinguished Senior Fellow at the National Preparedness Leadership Initiative. For over 33 years he was a member of the USAF and a senior executive with the Centers for Disease Control and Prevention. Joseph M. Henderson is a Distinguished Senior Fellow at the National Preparedness Leadership Initiative. For over 33 years he was a member of the USAF and a senior executive with the Centers for Disease Control and Prevention. Henderson served in several senior roles at CDC following the tragic events of September 11, 2001 to include the Agency’s first Director of the Office of Terrorism Preparedness and Emergency Response, Acting Chief Operating Officer, and Director of the Office of Safety, Security, and Asset Management. Mr. Henderson also played a key role helping to establish the NPLI at Harvard University’s T.H. Chan School of Public and the Kennedy School of Government. Leonard J. Marcus is founding director of the Program for Health Care Negotiation and Conflict Resolution at the Harvard T.H. Chan School of Public Health (HSPH). He is also founding co-director of the National Preparedness Leadership Initiative (NPLI), a joint program of HSPH and the Kennedy School of Government. Leonard J. Marcus is founding director of the Program for Health Care Negotiation and Conflict Resolution at the Harvard T.H. Chan School of Public Health (HSPH). He is also founding co-director of the National Preparedness Leadership Initiative (NPLI), a joint program of HSPH and the Kennedy School of Government. He served on the Faculty of Health Services at Ben-Gurion University of the Negev, Israel from 2010 to 2013. 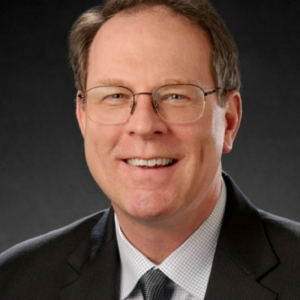 In collaboration with colleagues and through extensive research, he has pioneered development of the conceptual and pragmatic bases for meta-leadership, the Walk in the Woods method for interest-based negotiation, and applications of systematic dispute resolution for multidimensional problem solving. He has consulted to, trained, and provided executive coaching to governmental agencies and leading health care organizations across the nation and around the world. He was on-the-scene with leaders in the aftermath of Hurricane Katrina, the Deepwater Horizon oil spill, super storm Sandy, and other events. He received his B.A. (concentrations in Social Work and Hebrew) and M.S.W. (concentrations in Administration and Psychotherapy) from the University of Wisconsin and his Ph.D. from Brandeis University. Eric J. McNulty is a seasoned speaker, author, and advisor. He serves as associate director of research of the National Preparedness Leadership Initiative and the Program for Health Care Negotiation and Conflict Resolution at the Harvard T.H. Chan School of Public Health and is an instructor at the Harvard T.H. Chan School of Public Health. Eric J. McNulty is a seasoned writer, speaker, and advisor. He serves as director of research and professional programs of the National Preparedness Leadership Initiative and the Program for Health Care Negotiation and Confclict Resolution at the Harvard T.H. Chan School of Public Health and is an instructor at the Harvard T.H. Chan School of Public Health. He was on-the-scene with leaders in the aftermath of the Deepwater Horizon oil spill, super storm Sandy, and other events. 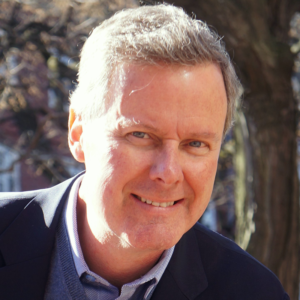 McNulty is also a contributing editor at Strategy+Business magazine and contributes to numerous publications. Previously, he was editor at large and director of conferences for Harvard Business Publishing. McNulty has written for Harvard Business Review, Harvard Management Update, Huffington Post, Marketwatch, Strategy & Innovation, the Boston Business Journal, Worthwhile magazine, and other publications. His case studies written for Harvard Business Review have been used in numerous professional and academic settings. He writes and speaks regularly on leadership in the context of crisis, resilience, sustainability, urbanization, and related issues. Throughout his career he has worked with and advised organizations as diverse as the Coca-Cola Company, Premier Farnell, UPS, Visa,and many others. McNulty received his B.A. in Economics from the University of Massachusetts at Amherst and his M.A. in Leadership at Lesley University. Richard Serino is a Distinguished Visiting Fellow at the National Preparedness Leadership Initiative. Previously, he served as Deputy Administrator of the Federal Emergency Management Agency from 2009-2014 and more than 30 years at Boston EMS where he rose through the ranks to become chief. While at FEMA, he responded to more than 60 national disasters. Among Serino’s initiatives at FEMA was the establishment of FEMA Corps, a dedicated corps of 1,600 within Americorps’ National Civilian Community Corps. The Hon. 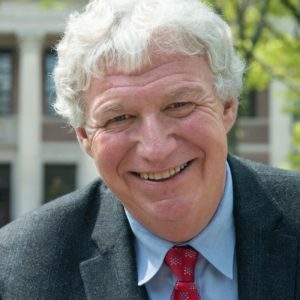 Richard Serino spent more than forty years in public service. During that time he provided extensive leadership on emergency management, emergency medical and homeland security at local, state, federal and international levels. Mr. Serino is currently a Distinguished Visiting Fellow at Harvard TH Chan School of Public Health, National Preparedness Leadership Initiative and a Senior Advisor at MIT’s Urban Risk Lab. Serino was appointed by President Obama and confirmed by the Senate as the Federal Emergency Management Agency’s 8th Deputy Administrator in October 2009 and served until 2014. In this role, he also served as the Chief Operating Officer (COO) of the agency with more than $25 billion budget. Prior to his appointment as Deputy Administrator, he spent 36 years at Boston EMS where he rose through the ranks to become Chief. He also served as the Assistant Director of the Boston Public Health Commission. Mr. Serino responded to over 60 national disasters while at FEMA and during Super Storm Sandy, he was the lead federal area commander for New York and New Jersey. Serino was also on scene at the Boston Marathon bombings as the Department of Homeland Security senior official. A sampling of Federally declared disasters Mr. Serino responded to include: flooding in North Dakota, New England, Georgia and Colorado; the wildfires in Colorado and Texas; the tornadoes in Mississippi, Alabama, Georgia, Joplin, Missouri; tsunami destruction in the American Samoa; and the Hurricane stricken areas from hurricanes Isaac, Irene, and Earl. Serino briefed the President of the United States on a number of disasters and briefed and traveled with Vice President Biden to a number of affected communities to survey the destruction. As the Agency’s COO, Mr. Serino fundamentally changed how FEMA operates. He helped FEMA reorient its activities and improve its programs to be “Survivor centric,” ensuring that the agency supports the delivery of services focused on easing the recovery experience of survivors – as individuals, neighborhoods, and communities. As Deputy Administrator, he also led administrative improvements that were focused on emphasizing financial accountability, created FEMA Stat, which improved the use of analytics to drive decisions, advanced the workforce training and engagement and fostered a culture of innovation. Under His leadership, FEMA launched initiatives such as FEMA Corps, a dedicated unit of 1,600 service corps members within AmeriCorps National Civilian Community Corps (NCCC) solely devoted to disaster preparedness, response, and recovery. His leadership took FEMA Corps from idea to implementation in nine months. FEMA Corps is a Presidentially recognized model program of national service that provides eighteen to twenty-four year olds with an opportunity to serve their country during disasters. When the program is at full operational capability, and in an average disaster year, there will be an expected savings of approximately $60 million in a year. Mr. Serino was also instrumental in developing the FEMA Think Tank, a program that provides a transparent way for citizens to speak directly to government leadership and offer their input and ideas. The monthly calls portion of the Think Tank have not just trended globally on Twitter, but have also given the “Whole of Community” a voice directly to leadership. During his tenure at Boston EMS he transformed it to one of the best and nationally recognized EMS systems in the country. He bolstered the city’s response plans for major emergencies, including chemical, biological, and radiological attacks. He also led citywide planning for the first influenza pandemic in more than 40 years. Mr. Serino served as an Incident Commander for over thirty & five mass casualty incidents and for all of Boston’s major planned events, including the Boston Marathon, Boston’s Fourth of July celebration, First Night, and the 2004 Democratic National Convention, a National Special Security Event. He has received more than thirty & five local, national and international awards for public service and innovation; including Harvard University National Public Leadership Institute’s “Leader of the Year”; nationally recognized as an Innovator in EMS with the “Innovators in EMS Award” and Boston’s highest Public Service award, “Henry L Shattuck Public Service Award”.and was a Tribeca Disruptive Innovation Fellow. Mr. Serino published more than ten articles, including: “Emergency Medical Consequence Planning and Management for National Special Security Events After September 11: Boston: 2004,” Disaster Medicine and Public Health Preparedness, August 2008; and “In a Moment’s Notice: Surge Capacity for Terrorist Bombings,” U.S. Department of Health and Human Services, Centers for Disease Control and Prevention, April 2007. Mr. Serino attended Harvard University’s Kennedy School of Government Senior Executives in State and Local Government program in 2000, completed the Kennedy School’s National Preparedness Leadership Initiative in 2005, and graduated the Executive Leadership Program, Center for Homeland Defense and Security at the Naval Postgraduate School.